Hey, guys! The past year, I have been extremely involved with coding and I am planning on continuing it this year with an independent study class. This is the link to my Google Sites where I will post my designs. I'm also attaching my Google Drive Folder link. I hope you guys follow me through my progress this year! I have used Scratch to make digital drawings. 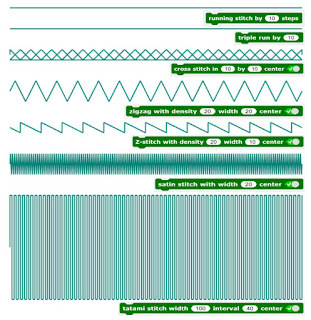 It is a great opportunity to play and create a lot of interesting patterns while having fun! The idea of transporting this drawings to the real word using stitches is amazing! I want to try this! Thanks for sharing! !